Saul . . . went to the high priest, and asked from him letters to the synagogues in Damascus (Acts 9:1-2). 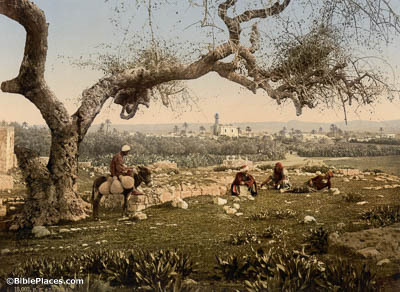 Damascus was located about 135 miles (220 km) from Jerusalem as the crow flies, requiring a journey of 5–7 days. 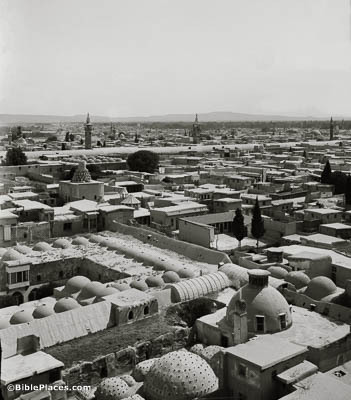 Damascus has been continuously inhabited for thousands of years and little archaeological work has been done in the city. This American Colony photograph was taken between 1900 and 1920. And as he journeyed, it came to pass that he drew near to Damascus (Acts 9:3). 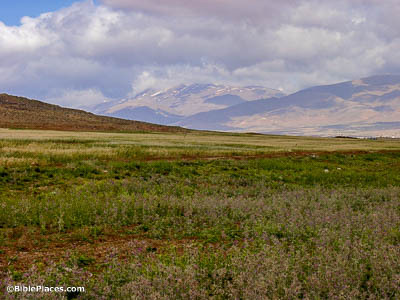 This picture shows a view of the land south of Damascus and east of Mount Hermon. It is not known exactly where the road was in Paul’s day, but it would have passed through this valley and Paul would have had a view somewhat like the one seen here. Arise and go to the street which is called Straight (Acts 9:11). 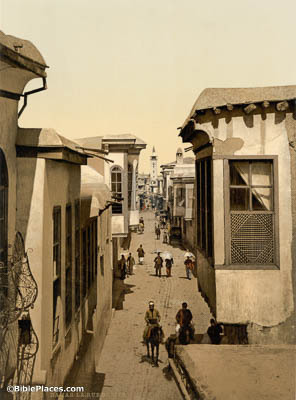 Straight Street (known today as Darb el-Mostakim) is the main east-west artery through the old city of Damascus. Back in Paul’s day it would have been flanked by commercial colonnades, making it a center of urban activity. 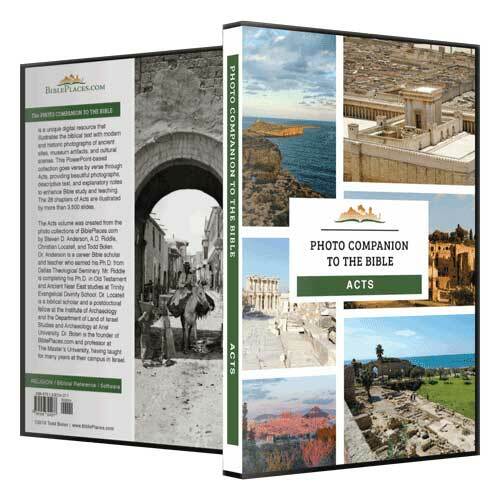 Inquire at the house of Judas for one named Saul, a man of Tarsus (Acts 9:11). 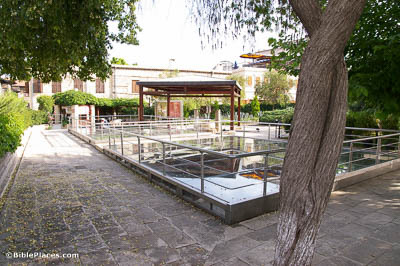 Paul’s hometown was Tarsus in Cilicia. Little of Tarsus during the time of Paul has been excavated due to the location of the modern city atop the ruins. However, one particular structure has been traditionally identified as Paul’s house. A glass covering has been built over it to protect the remains. Peter . . . went down also to the saints who lived in Lydda (Acts 9:32). Lydda is located about 25 miles (40 km) northwest of Jerusalem along a major north-south highway. This is the only mention of Lydda in the New Testament. Older images like this one help us visualize what the city looked like in Peter’s day before modern construction took over the landscape.